Michael S. Allen, Ph.D., currently vice president for student affairs at The Catholic University of America, has been named the seventh president of Barry University in Miami, Florida. Allen has served for 6 years in his current role at Catholic University, and the previous 8 years as associate vice president and director of athletics. He will continue in his current role through the end of the academic year. A search for the new vice president of student affairs will begin this spring. 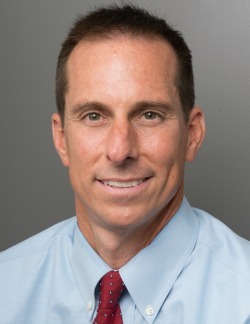 In 2005, Allen joined the University as athletic director. In that role he directed all facets of an intercollegiate athletics program sponsoring 21 varsity sports. He was promoted to associate vice president in 2009. In 2013, he was named vice president of student affairs. In that role he served as a member of President Garvey’s executive leadership group, providing guidance and recommendations for all matters related to student experience, with close collaboration on enrollment, academics, fund raising, and capital project initiatives. Allen directed an integrated planning effort that has led to the planned construction of approximately $90 million in capital facility investments in close conjunction with the launch of an institutional comprehensive campaign. These projects are expected to include a new dining facility and residence hall. He also chaired the University Retention Committee, which led a collaborative effort with faculty and Enrollment Management to significantly bolster student retention from matriculation through graduation. Freshman-to-sophomore and freshman-to-junior retention rates have risen to the highest levels since the University began tracking them in 1991. For the past few years Allen has co-chaired the University effort preparing for the decennial review of the Middle States Commission on Higher Education. “I am equally thankful for the colleagues I have had the privilege of working with over the years,” he said. "While they are far too numerous to name, I have been inspired daily by their talents, ideas, and unwavering commitment to provide our students with the best experience possible. I will miss them dearly.